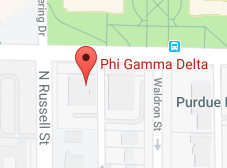 Phi Gamma Delta views philanthropic events and community service as two crucial aspects to living a life for others and being a true “FIJI Gentlemen”. For philanthropy, we are proud to attend a variety of sorority events, including the Kappa Kolor Run, Delta Delta Delta’s Pancake Night, DZ’s Corn Hole Tournament, Theta-Beta Grill-Off, and several ZTA BMOC events throughout the year. Our participation for these events has increased over the past few years, and we hope to continue to support these amazing philanthropies. Our main monetary philanthropy organization we support is the United Services Organization (USO), which aims to provide a better life for veterans. The majority of the funds raise in our philanthropy events go to the USO. We are also involved with various community service opportunities that many of our brothers enjoy. Every year we participate in Winterization, which is a morning spent cleaning up the Lafayette/West Lafayette area. We also have brothers involved with organizations such as Carmel YoungLife, LTHC Homeless Services, Eye-To-Eye, and volunteer coaches for different children’s athletic teams. One service event we are very proud of for our participation in recent years is the Purdue University Dance Marathon. In 2014, 2015, and 2016 we only had three people participate, but in 2017 we increased our numbers to 44. It is evident that service is becoming a forefront of our fraternity.